It may be small, but a functional pin is most important when it comes to your emergency breakaway system. 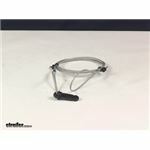 Call 800-298-8924 to order Hopkins accessories and parts part number HM20051 or order online at etrailer.com. Free expert support on all Hopkins products. Guaranteed Lowest Price and Fastest Shipping for Replacement Cable and Pin for Hopkins LED Breakaway Switches. Accessories and Parts reviews from real customers. It may be small, but a functional pin is most important when it comes to your emergency breakaway system. Snapper Pin, 1/4" x 2-1/2"
Today we're going to be taking a look at the replacement cable and pin for Hopkins breakaway switches. Even though this unit is small, it is a very, very important part or component when it comes to your emergency breakaway system. Now, this is going to measure 4 feet long. It's 48 inches long. The cable is a steel cable, and it's going to be coasted with a protective coating. That's going to keep the cable from fraying. It's also going to make it scratch-resistant, so it's not going to scratch anything that it comes into contact with. This is a straight cable design. I just have it bundled up for our video. When it comes to the pin, that's this right here. This is going to give us an overall length measurement of about 1 3/4 of an inch with an usable pin length of 1 5/16 of an inch. This is going to work with Hopkins LED breakaway switches, part numbers HM20050, 20059, 20060, 20005, 20010 and 20041, and it's going to work with new style Hopkins breakaway switches, part numbers HM20005, 20012 and 20014. That's going to do it for today's look at the replacement cable and pin for Hopkins breakaway switches..
Order: RelevanceNewestRating - High to LowRating - Low to High It may be small, but a functional pin is most important when it comes to your emergency breakaway system. Still tucked away in the camper for an emergency spare. It is still working perfectly. I highly recommend it. If you are referring to the pin for a breakaway kit like # HM20010 that you referenced we do sell a pin and cable on its own as part # HM20051. 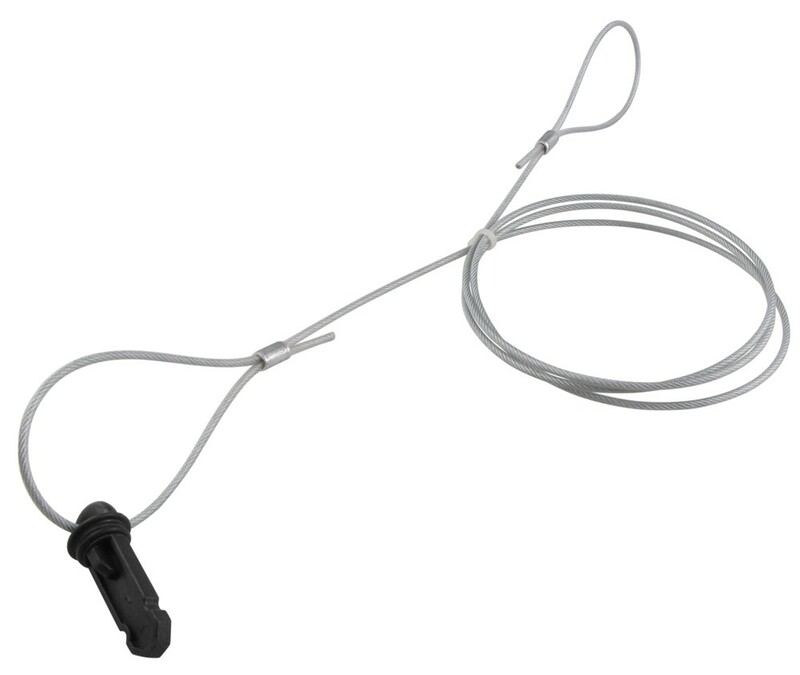 This replacement pin/cable works with many Hopkins breakaway kits, all of which are listed on the page for part # HM20051. 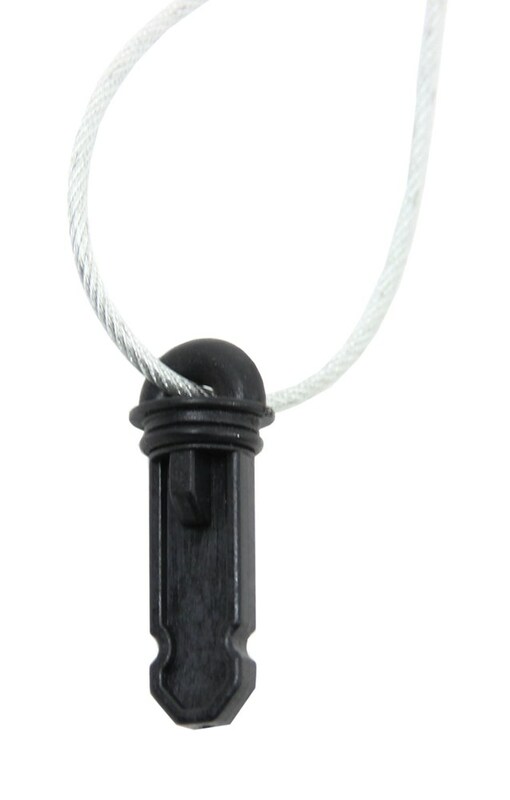 Ideally you have the breakaway cable slightly shorter than the safety chain length that way in the event of a trailer uncoupling the brake of the trailer will be applied as you come to a stop. This prevents the trailer from slamming into the tow vehicle as you stop. Not all pins are created equally but all breakaway switches are pretty much the same. Since we can't determine for sure which system you have I recommend replacing the whole switch with # HM20010. The only thing in the switch are 2 metal contacts that are kept separated by the plastic pin. When the pin is pulled the contacts can touch and complete the circuit from the battery to the brakes. That is why you can use a different switch. It is a very basic system!